I’ve been so used to cooler weather since I got over here in July, that I was a little surprised at how warm it was in Florence. Luckily, I brought a few lighter knits and tops to wear with jeans. On this particular day, my mom, sister and I woke up early to check out the Pitti Palace, so it started out kinda chilly. This blanket scarf was the ideal accessory for such a day! – More into solids? This simple camel (or black) scarf has a little extra fringe to keep things interesting. 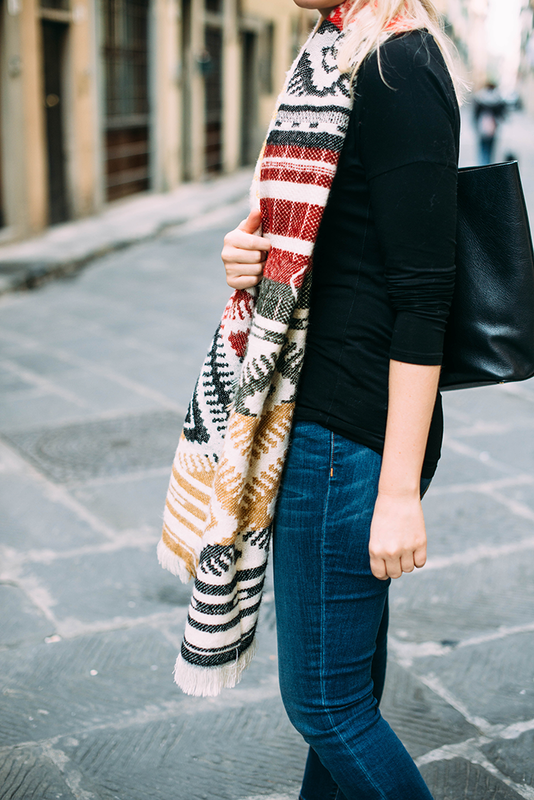 – The ultimate chunky scarf – love the blurred black and white print! – One more plaid scarf in an unexpected fall/winter color combo. Love the light blue! cute scarf and love your flats. Love the unique pattern & fun colors of this scarf! Such a pretty scarf! Love the print! 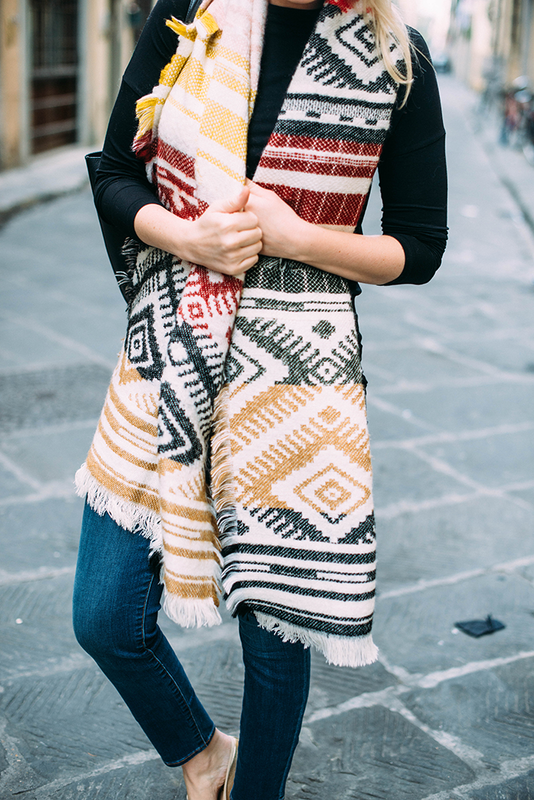 A blanket scarf is a must-have for this season. Great look! Blanket scarves are so important! They’re so cool too. I love this one! Love the print of your scarf and the colors are gorgeous! The scarf is great and also love those flats! Gorgeous outfit! The print of your scarf is so beautiful, I love that it’s the star! Gorgeous look! The scarf looks awesome!